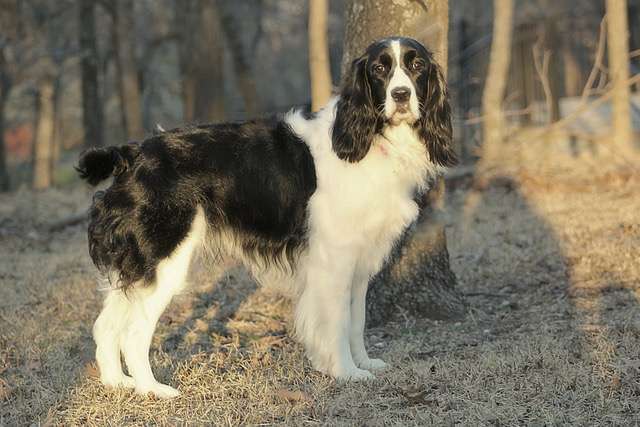 Equally comfortable at home with their family or hunting game in the field, the English Springer Spaniel is a time-tested breed that is one of the most popular and versatile dogs in history. That's why we see so many old masterpiece paintings of Springers posing with a young princess as well as finding game birds for the hunter. The English Springer is a friendly, lively, outgoing, medium-sized breed requiring regular exercise and daily grooming. Springers enjoy children and adults alike, and they do best in a household situation when properly trained and socialized. 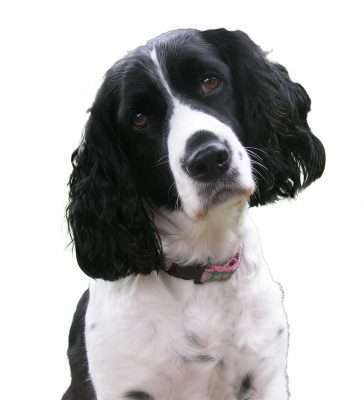 The English Springer Spaniel is typically eager to please, quick to learn, and willing to obey. The Springer's intelligence and agility, paired with its beauty, loyalty, and trustworthiness, make this breed one of the most desired. The above are only generalities, and both sides of the breed have some degree of the other's traits. Yes, show dogs love the mud, too, and fieldies love people! The AKC breed standard does NOT separate the two types. 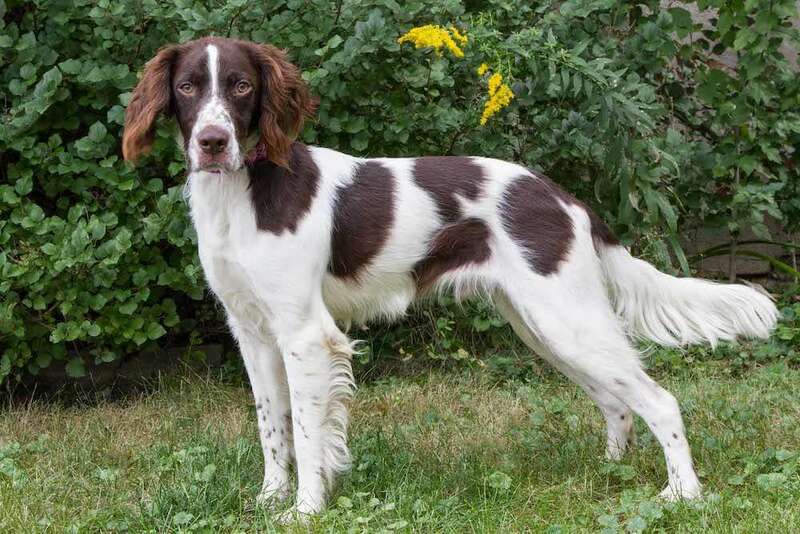 The standard does not demand any pattern of markings, but most commonly, both field and show Springers have dark ears and head, a white muzzle, and a white blaze. Both types may have docked tails, though field dogs' tails may be left a little longer with a "flag" on the end. Since field Springers are bred for their hunting ability and soundness rather than to a written description of body type, there is greater variety in style among these dogs. With good socialization and some training, either type of Springer can become a wonderful companion. The Spaniel is an ancient breed of dog. The English Springer Spaniel's origins are somewhat obscure, but it is believed that they have Spanish ties. It was around 1800 that the first pureblood line of English Springers was developed in Shropshire, England. The founding of the Spaniel Club in England in the 1880s supported organized competitive sports, both bench and field. It was in 1902 that the English Kennel Club officially recognized the English Springer as a breed. The American Kennel Club's first English Springer was registered in 1910. The breed's popularity was elevated to new heights in 1924 with the forming of the English Springer Spaniel Association. The English Springer Field trial Association (ESSFTA) was established as the parent club for the breed in 1927, and today the club continues to promote the breed in both ring and field competition.